David Archuleta wants to give back to those in need with a benefit concert. 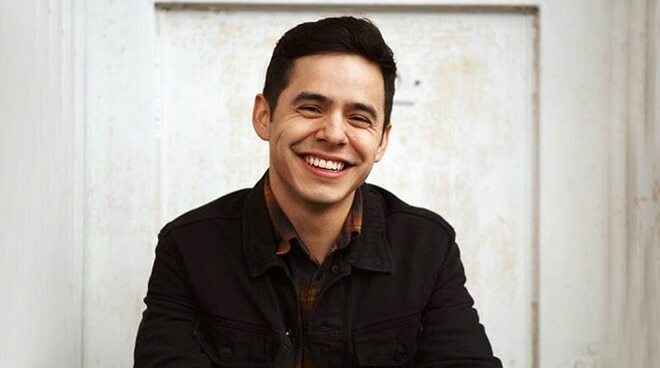 After more than a year since his sold-out show in Manila, American Idol alum David Archuleta is coming back to the Philippines for a benefit concert. Joining Archuleta in the benefit show—which aims to raise funds for the Mabuhay Deseret Foundation—are former X Factor UK contestants three-piece boy group JBK, Tawag Ng Tanghalan contestant Anton Antenorcruz, and Mikee Misalucha. “We are so excited to announce @DavidArchie will be performing on November 16th at the Kia Theater for our 30th Anniversary! Come #MakeSomethingSweet with us,” Mabuhay Deseret wrote in a tweet. Archuleta also expressed how thrilled he is for the upcoming show with a video announcement on Twitter. “Maligayang Pasko, Philippines! Join me and my friends Anton Antenorcruz, Mikee Misalucha and JBK for a Christmas concert at Kia Theater on 11/16! The show will raise money to benefit the Mabuhay Deseret Foundation which helps those in need,” he wrote on Twitter. Ticket prices are as follows: P5,300 SVIP, P4,770 VIP, P4,134 Orchestra A, P3,710 Orchestra B, P3,074 Loge, P2,014 Balcony. David Archuleta and Friends holiday benefit concert is happening on November 16, 2018 at the Kia Theater. The 27-year-old American singer is known for his hits “Crush,” “A Little Too Not Over You,” “Something ‘Bout Love,” among others. Back in 2012, David Archuleta released the album Forevermore which eventually received a Gold Record Award.